After my first month of adjustments I stopped having pressure headaches and I haven’t had one since. This is a condition I have been struggling with literally my entire life and I was both dumbfounded and grateful to see such rapid results. Dr. J and Dr. Mike are excellent at what they do, but also excellent humans. They genuinely care about the well-being of everyone that walks through their doors. In addition to the adjustments, they have some yoga based exercises that they introduce to patients. The addition of this work definitely makes the adjustments more potent. I always leave the Life Center feeling regenerated. Would definitely recommend this place to anyone who is considering chiropractic. It’s hard to know what else to add to the other reviews of Dr. Brook and Life Center Chiropractic. My own story started with finding Dr. Brook on Yelp a year ago when I had serious need of chiropractic for adjustment and pain relief, and continues to the present day when I have “graduated” to wellness care and count on my work with Dr. Brook to keep me moving in the direction of wellness and healing. There is something quite extraordinary about the Life Center that I experience the moment I walk through the door of the office. The place exudes warmth and caring. Dr. Brook is an exceptional healer, and quickly and accurately identifies what work needs to be done and goes right to it. There is a strong emphasis on self care, and you will see folks doing their post-adjustment routines in the office on the props and equipment provided. I want to add my voice to the other reviews on this site. I could not be more grateful for the quality of care I receive from Dr. Brook and I recommend Life Center Chiropractic completely and without hesitation. Although grounded and ultra professional, Dr Brook (aka West LA’s favorite yoga chiropractor) is essentially a holistic chiropractor. He does not merely treat neuroskeletal pain symptoms, but takes into consideration and pragmatically discusses all aspects of health and the interconnections between physical, mental and spiritual wellbeing. Rarely have I encountered an individual so passionate about their practice, so dedicated and truly focused on providing optimal service. As a result of his adjustments I feel more aligned, energized and focused – unquestionably one of the best investments I’ve ever made. Dr. Brook and Dr. Mike are both great. I was referred to Dr. Brook through a good friend who had nothing but good things to say about him. I had a shoulder injury that just wouldn’t get better. I made the commitment (and it is a commitment of time and money) to start seeing Dr. Brook. Within a few months the pain diminished dramatically. My shoulder is now completely healed with full mobility and for that I am so thankful. The Life Center space is peaceful and clean. Both Joanne and Meghan are amazing. Scheduling is easy and flexible. I enjoyed doing the yoga based stretching and exercises. In fact, every time I visited The Life Center Chiropractic, it felt like a gift to myself. The only negative for me, is the fact that I haven’t been able to keep going. Like I said before, it is a commitment, and it is one I wish I could have kept on with. Unfortunately, I had some other financial obligations that took precedent, so I haven’t been visiting The Life Center Chiropractic lately. I do recommend The Life Center Chiropractic highly for the care you’ll receive and the healing you’ll experience if you make a commitment to yourself. Went to see Dr. Brook when I pulled something on my upper back. Got my x-ray taken, did a full range of motion test and got recommended on an adjustment program. After 4 weeks I feel much better and have huge improvements. I’m happy to be working out again and couldn’t thank Dr. Brook and the whole staff enough. Would recommend to friends and family. I’ve been a patient of Dr. Brook’s for a few months now and I think he’s awesome! Dr. Brook has this wonderful presence about him — so calm, centered, grounded, warm and caring. I’m a patient of Dr. Brook’s because I have mild scoliosis which sometimes presents itself as an achy lower back and tense shoulder muscles. Dr. Brook said he could help me by first stabilizing the spinal curves and then following up with a more aggressive adjustment plan to help my spine to normalize itself. During my initial consultation, I took X-rays and Dr. Mike (Dr. Brook’s cousin and fellow chiropractor) ran a test on me to assess the muscle tension along my spine as well as my range of motion. This baseline analysis was pretty cool, and helps me determine whether or not chiropractic care is actually working for me. At about 6 weeks, I was rescanned and there was definite improvement. I wonder how much my spinal curves can normalize with treatment? We’ll see! If you’re looking for a great chiropractor, be sure to make an appointment with Dr. Brook. He’ll take care of you! Dr. Jeremy & Dr. Mike are shining stars in their occupation. As a yogi and a past dancer suffering injuries from a car accident 15 years ago, my spine was in what I felt to be pretty gnarly shape when I arrived. My initial diagnostic exam with both Dr. J and Dr. M was comprehensive. I have been to other chiropractors where not much is explained beforehand, and not much is explained afterwards…so I often walk out not sure of what the adjustment corrected nor what the adjustment was for. Since coming to Dr. J for the past month, I’ve noticed pains in my lower back dissipate, I’ve stopped cracking, cranking, self-adjusting my neck because I no longer feel the need to and I feel better altogether. Perhaps the one thing I truly respect about the Life Center Chiropractic is their holistic approach to caring for the spine in order to achieve maximum spine health. PLUS, the office is extremely clean, you take your shoes off when you come in, you have gaiam balls to sit on, cool music to listen to, cool books to read AND they have amazing staff who ALWAYS give you a sweet, joyful greeting when you pop in. This place is the bees knees. All good things… PLUS reggae Fridays. The Life Center is such a friendly, easy going environment that I feel great every time I leave. Starting with the helpful and fun reception (who are scheduling phenoms) and going all the way through the Dr. Brook Experience (clear communication, holistic approach, thorough, with appropriate dashes of humor)… I highly recommend checking them to get your adjustment on. Dr. Brook is a God. I pulled my lower back at the gym and was supposed to go on a snowboarding trip a few days later. I went to The Life Center for the first time the following day and somehow was snowboarding a day or two after that one visit. Honestly Life Saving. I’ve been to a lot of Chiropractors over the past 15 years and was starting to think the whole spinal adjustment thing was a sham and only provided temporary relief. Then several months ago, I got into a car accident. At first I thought I was fine, but after a day my neck started hurting — and it kept getting worse. I knew I had to find a chiropractor, but I was worried that I wasn’t going to be able to find a good one. That is, until I went on yelp and saw all these incredible 5-star reviews for Dr. Brook and the life center chiropractic. And now I know why. Dr. Brook is the BEST chiropractor I have ever been to in my life, and as other’s have said here “a gifted healer”. The techniques he uses are different then I’ve ever experienced before. The movements are precise and put the vertebrae EXACTLY where they need to be. He has a deep understanding of the human body and a connection to how the energy should flow through the spine and how much pressure to use – so adjustments are never painful and I get immediate and lasting relief. And they (Dr. Brook and Dr. Mike) are so thorough, they even have equipment that measures your spine and the muscles on either side of it. I could go on and on, but I think you get the point :). You should stop reading and just go see Dr. Brook, he is the best! Excellent philosophy, attitude, and practice: I was referred to The Life Center Chiropractic by a coworker after suffering from lower back pain. I had “thrown out” my lower back a few times 2-4 of years ago when I was heavier, but I was concerned that after loosing a bunch of weight I was now in the most pain I had ever had and after 5 days it was not getting much better. After the first visit, my spine was relieved of acute nerve pain. My spinal erector muscles were still sore from being engaged for so many days, but the nerve pain was completely gone. After a couple of days my muscle pain subsided, and everything’s AOK. Drs. Brook and Isseks did a great job explaining the problems my back was experiencing and how we planned to correct, heal, and strengthen my spine. It isn’t western medicine that goes straight to muscle relaxers and pain killers — in fact, muscle relaxers only serve to increase the nerve pain and damage. Drugs that dumb down your body’s musculature and sensitivity prevent the body from doing what it is designed to do, because your body instinctively contracts muscles to protect the nerves and spinal chord. Life Center seeks to allow your body to heal itself by relieving the pressure through adjustment. I’m a former athlete (personal trainer, aerobics, spinning, mountain biking) a yogi, and a writer who, now, spends most of my day sitting. I’ve had problems with my back, my knees, my feet and with carpal tunnel syndrome. I’m not a cripple but (oy!) I’ve learned to live with lots of physical impediments. A little pain? So what. Unless it gets really bad, I don’t do much about it. And when I am in pain I’ve seen “the best” — a couple of well known chiropractors, a couple acupuncture doctors, an orthopedic doctor, a podiatrist, a physical therapist and lots of sports massage therapists. In the past, the therapy has always worked okay, but what’s a little pain, right? I’m used to it. In February I got rear ended in my car. I couldn’t turn my head. I had tingling in my fingers. I thought I was doomed to be one of those people who had permanent neck damage. You know, the one who talks about their neck pain whenever it rains. Someone reminded me of Dr. Jeremy Brook — the guy from yoga. Sure, I’ll try him, I thought. First off, I called on a Sunday and he CALLED ME BACK. On Sunday. He gave me his cell in case I needed him right away. When I came in, his office staff took complete care of me and all the dreadful insurance stuff. The first visit featured an awesome technological analysis of my spine, my torsion, flexion, extension – my entire ability to move in every direction. I knew he had a complete understanding of his work and my body. After that, the appointments were quick, effective and always left me smiling. On top of being a great chiro, he, Dr. Mike and the rest of the staff are so friggin’ nice. If you’re a little late or early it’s no big deal. It starts to feel like a family. And the weird thing? I FEEL NO PAIN. I actually feel better than I did before the car accident. The other day, I told him I thought the accident was a gift because I had no idea I could really feel so good given all my past injuries. Once the insurance ran out, I opted to keep coming so that I could continue on this journey. Plus the tunes are good. Usually it’s Mozart Monday, Blues on Tuesday and it’s always Reggae Friday. You come in, get a pop, do some exercises and rock out to some Marley. How good is that? You see people of all ages and sizes. I even got my chiropractic-virgin husband to go. He was completely skeptical until the techno-wow first visit. He signed on and is ready to get straightened out. I can’t say enough good things about these peeps. And the best chiropractor I’ve ever been to. Dr. Jeremy Brook is the best chiropractor I have ever seen. I’ve seen a lot of chiropractors, in LA (6 including him) and in CT (4). , I am a current patient of his for over 4 months. His initial examination is thorough with an extensive range of motion test.. Having an x ray taken is a great resource. His book, The Spinechecker’s Manifesto, is a must read for those who care about their spine/back health. His approach is a complete mind, body, and spirit method to improve your condition. Great instruction on many exercised to improve certain areas of the body. There are three well appointed exam room and an in house x ray room. When you enter the office, you’ll be greeted by friendly staffers. Also, the office has another chiropractor, Dr. Mike, which is great to have since all chiropractor I have seen work alone. The office has the coolest decoration that I have ever seen, chiropractic and yogic. A good size self treatment area with an exercise wall tower and various floor back boards. There are 5 exercise ball chairs where you can do the recommended therapeutic movements. Payment plans can vary depend on your financial situation. The Life Center accepts certain insurances. There can be intro. specials available at certain times, see yelp, a friends and family reference, look in LA Yoga Magazine. When dealing with your back/spine, you must be proactive and ask questions. His office is usually very busy so appointments are quick. You are given exercises to reinforce your area of weakness. There are also workshop here for you to learn more. So if you are seeking an adjustment for your health, you are in the right place. 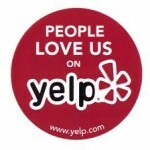 Like many others, I found the Life Center through a Yelp deal, and I couldn’t have been happier with the discovery! I have a lot of back problems, which various chiropractors have been able to help but never truly fix…it wasn’t until I started going to Dr. Brook that I actually felt that someone was helping me to recover in a more permanent fashion! Everyone on the staff is extremely pleasant and make you feel very much at ease. My sole complaint is that this place isn’t closer to where I live, ha! Unfortunately, I couldn’t handle the long drive from the Valley anymore…which is too bad, because I have yet to find a chiropractor in my area that compares even remotely to the care I received at the Life Center. I had my first visit with Dr. Brook 6 months ago. I was suffering from daily headaches (seriously, every day), 4 to 6 migraines a month and lower and mid back pain that I had elected to ignore. My boss noticed the daily doses of peppermint oil I was slathering on my neck for relief and suggested that I see Dr. Brook, so I gave the office a call. After following Dr. Brook’s plan, which is intense (but amazing), my migraines are rare and come with less pain, I’m able to think clearly, and I can’t even tell you the last time I had a generic headache. A good chiropractor is hard to find, but Dr. Brook and Dr. Mike are both amazing. The first time I saw a chiropractor was 10 years ago. At 16, the X-ray of my spine was nearly identical to my grandmother’s; she was 70. I wasn’t a star patient, went infrequently, typically when I was symptomatic. That’s not the way to get your spine in line. I have followed Dr. Brook’s plan, made many trips to Whole Foods (which I like to tease him about), stepped into the yoga-inspired treatment box (which was a whole new world for me) and the results are undeniable. Previous doctors told me my options were symptom management, preventative migraine medication and most likely future spine surgery. Now, I’m standing taller, straighter and looking at a whole new, headache-free future. The Life Center Chiropractic is a great place! Dr. Jeremy Brook has treated me better than any chiropractor that I have seen. He is VERY knowledgeable about the body and has great technique. He has single-handedley kept me without back/neck pain for years now. I’ll never go to anyone else. The Life Center has a calm and pleasant atmosphere with a great staff as well. The girls at the desk are extremely nice, lovely, professional and willing to help with anything. If you are in need of a chiropractor for any problem, this is the place for you! I have been going to Dr Brooks for around 8 months now, and though he’s the first and only chiropractor I have ever seen, I must still say he is the best! After decades of pain from both scoliosis and horseback riding injuries, this is the first time I my back really feels GREAT, and I can turn my head in all directions (I couldn’t do that for most of my 20s). The office is very welcoming and the ladies at the front desk are always wonderful to talk to. I highly recommend them to all! Dr Jeremy is the bomb! Super knowledgeable and his chiropractic skills are stellar. Wise old soul and is intent on providing quality care. Very concerned about patients. The office is cool, the crowd eclectic, the diagnostic tools first rate and support staff is very talented and personable. The Life Center is a small office and a healing sanctuary. I’ve been seeing Dr. Brook twice a week for about five months. He’s great. His adjustments are VERY precise, extremely clean and he’s taught me some very helpful stretches as well. The office is warm and welcoming, his staff is friendly, and his client base seems to love him, so there’s really nothing negative I can say about it. He’s a very positive individual and I’m glad I’ve met him. I highly recommend The Life Center. I called Dr. Brook a few months ago and was looking for a “quick fix” because back had been giving me problems, keeping me awake at night. I felt immediate results along with other unforeseen advantages (better posture, restful sleep, very little back pain anymore), I began to feel more grounded and aligned. He seems to know exactly where I am experiencing discomfort and goes right to the source, every time. Dr. Brook’s intuition is dialed in, and is a gifted healer. Do yourself a favor and visit Dr. Brook and Dr. Mike. You’ll wish you met them years ago. Dr. Brook is awesome at what he does, and it shows. I feel great after my adjustments and so much more relaxed. My body is always ready for a visit to The Life Center Chiropratic to get realigned ; ) The staff and Dr. Mike are helpful and friendly too. If only my insurance would pay more for my chiropractic care, I’d visit everyday for sure! Dr. Jeremy Brook has a gift. And he’s a really good chiropractor, too! Seriously, Dr. Jeremy is AMAZING. He is thorough in his initial evaluation, very comfortable (no mightier-than-thou-ness) and hits the spot(s), every time. His treatments brought back to my memory how my body is supposed to feel. After my adjustments I feel high, calm, content. I am a better version of myself, physically and emotionally, after having worked with Dr. Jeremy. His whole-istic approach is right on! Oh, yeah, LOVE the entire staff! I’ve been going to Dr. Brook for over 10 yrs, and he’s such a part of my life, I’m so grateful. I appreciate his holistic approach to reviewing the body and what needs to be done. He gets as much or as little involved as the client wishes on any particular day, and he surrounds himself consistently with great staff. His hands are very healing, and I trust him fully; he has worked with me through several injuries and multiple back issues. Regular realignment makes me able to sit at my desk much of the day and do what I need to do; and he has provided invaluable guidance on little things I can do all or each day to be more aware of what my body is doing or how its reacting and how I can respond to it. He knows I don’t always do what I should be doing, but is patient and accepts each patient’s limits and guides within that framework w. great patience and a smile. The only other chiropractor I’ve been to in the last 10 years was on an emergency (I could barely move) in Northern Calif., and oddly enough, this ONE guy I found who was open for 3 hrs on a holiday weekend had worked (trained?) with Dr. Brooke and knew not only how to work w. my body but also that I understood what chiropractic was. I could not have been more lucky, nor felt more comfortable in my state of extreme pain, to know that I fell in with someone who worked in a similar fashion. I cannot recommend Dr. Brook & the Center enough. He’s the Michaelangelo of Chiro. All of his clients become his family. Clearly a talented and skillful man. HIGHLY recommended for all including ATHLETES (I’m 6’4″, 245lbs and 10% body fat). you are in “good hands” here as well as with “good spirits”. dr. brooks and his staff are warm, informative and really are there for the needs of their patients. the ambiance & services are healing and soul rejuvenating! dr. brooks sends you off with those same feelings so you can continue to feel good daily and continue to feel “upright” along your living journey. I love this place! I chose the Life Center because they integrate yoga into their treatment and philosophies. I got into a car accident and was feeling really awful. I had never really had chiropractic care before so I was pretty nervous for my first few adjustments. The initial exam was really thorough and I felt I understood exactly what was wrong and what the plan was to fix it. Dr. Brook made me feel totally calm and before I knew it I was looking forward to the adjustments instead of fearing them. They worked with my car insurance company and everything was easy and smooth. I would recommend the Life Center to anyone. It is the best place with a great positive healing atmosphere and you feel amazing when you leave. I wanted to share my personal experience with the Life Center Chiropractic and encourage any of you who are interested in seeking out the leading edge of Chiropractic care, to seek out the Life Center. My sixteen year old daughter had been experiencing the challenges caused by orthostatic hypotension and syncope (a blood flow issue which causes dizziness and fainting). She had been through months of testing at UCLA and elsewhere, but had no relief from the episodes which drastically impaired her day to day living. News of her condition reached a good friend and chiropractor in Bend, Oregon who referred us to his colleague, Dr. Jeremy Brook. My daughter had been to another chiropractor (and I was not impressed) but I trusted his referral, I thought it was worth a try. Dr. Brook’s approach is extremely professional and thorough. After a complete initial assessment, which included having a secondary assessment from a radiologist, he was able to pinpoint an area of concern. Almost immediately after beginning her sessions, my daughter had amazing relief and has continued to improve dramatically. I cannot say enough about the Life Center and Dr. Brook. It has changed our life. My daughter is steadily regaining her health. I am eternally grateful to Dr. Brook. I know my daughter is too. The energy at the Life Center is so amazing!! And fun!! Dr. Mike is awesome! Megan and Joanne are so wonderful and helpful when it comes to scheduling, etc.. Dr. Brook is engaging and generously informative: truly a current of good energy. I hope that others who read this will give the Life Center a try. It was truly one of the best decisions I’ve made. MIRACULOUS, AMAZING I could go on and on, but Dr.Brooks is the real deal. I have been to a lot of Chiropractors, and when I first walked in the door , I was instantly a ease and peace, , He is a yoga master and I enjoy the fact that he Really Gets the MIND -BODY connection with the adjustments. I was living on the westside and it was very convenient to go to him, I now live in Pasadena about 30 miles away yet I travel to see him. He has done wonders for my back,neck and mind. whenever I get a chance to see him I go just to get a tune up. He is 5 stars for sure . check him out. I was referred to Dr. Brooks by a friend and I’ve been seeing him for over a year for maintenance care. When I first came in to the office my left hand was numb, I wasn’t sleeping well, and constantly in pain and discomfort. I am no longer in pain and to be honest, I believe his care has significantly increased my overall health and well being. I have nothing but gratitude for his amazing presence and ability! I’ve been going to Dr. Brook for the past 5 months and have found his care/treatments, disposition/personality, office environment, staff (especially Darla! ), and knowledge to be top-notch – you can’t ask for a better chiropractic experience. I first became a patient after meeting Dr. Brook at Venice’s Abbot Kinney Festival last fall, where I told him I had been suffering from lower back pain for two years without much improvement (even after physical therapy, doctor exams, massage therapy, etc.) After a thorough round of exams in his office, he identified my problem areas and we began a care plan. Within a month I finally felt like my back pain was getting better – after 2 years without any improvement!! I was amazed with how much better my back was feeling! Since then he has cared for me during my pregnancy, which (possibly as a result of chiropractic care) has been extremely easy and smooth. In addition he and his office staff have been more than supportive through a scary car accident I experienced, and I think my neck and back have recovered quicker since the accident just because I’ve been receiving chiropractic care before and after the accident. If you have back or neck pain, are pregnant, have been in an accident, or just want to stay/be balanced, I highly recommend seeing Dr. Brook. He and his staff will treat you like a friend and take care of you and you’ll leave feeling emotionally and physically better each time you visit. Dr. J is wonderful, always full of energy and ALWAYS has a minute when you have a question. Everybody who works there is amazing and always goes out of the way to help, listen and accommodate. Truly an amazing place, full of energy and smiles. THANK YOU! Dr. Brook is compassionate, dedicated, thorough and perceptive. He truly seems to know everything there is to know about chiropractic. His treatments are effective and precisely tailored to my needs. The exercises, done in the office afterward are short, easy and perfectly adapted to complement the adjustments. I feel that he and his entire staff are interested in me and my health. They make it extremely easy to make and change appointments as necessary, adding to the gracious, kind, stress-free experience. The entire office is a healing environment. I had no expectation of chiropractic treatment working for me. After the first adjustment, long standing severe neck and back problems started to get better and stayed that way. I could feel my body cycling backwards through the years and feeling younger and younger. I have nothing negative and a great deal wonderful to say about Dr. Jeremy, Dr. Mike and their whole staff. Stop looking for a chiropractor, you’ve found them. I can’t say enough about The Life Center Chiropractic. Dr. Jeremy Brooks and Dr. Mike Isseks are true leaders in their field. I grew up playing ice hockey then trained in martial arts for years — i’ve seen my share of chiropractors and know what to expect. This place continues to blow my mind — they seem to have a repeatable chiropractic technique that is based in knowledge of human anatomy, yoga and common sense. I am living pain free and that’s the proof after years of living in pain. Their methods are unique and make absolute sense to me (I have years of background in sports, kinesiology and anatomical studies). I first heard about Dr. Jeremy (the “Yogi Chiro”) from my fiancee who took a Yoga teacher training seminar with Saul David Ray (world-renown Yoga instructor) and Dr. Jeremy was teaching the anatomy portion of the workshop. “That’s impressive”, I thought. At the time I was sufferring increasing chronic neck and back pain from my job (I work on computers all day) so I began a course of treatment with them. Within my first week of treatment I was basically pain-free and my range of motion had increased dramatically. This is nothing short of miraculous, but also not surprising if you know about what the human body can achieve. Thank you Dr. Jeremy and Dr. Mike! Keep doing what you do so well! I just went through about six months of treatment with Dr. Brooks and I feel better than ever. I didn’t follow all of his directions because I am a super duper busy mom and student but I still feel like a new woman. When I came to him I was a sleep deprived new mom with hip pain, neck pain and a very tired body. After a couple months I was feeling so much better that I was able to start working out again. Instead of schlepping my way around the neighborhood (I walk a lot), all of a sudden I had a spring in my step. My neck pain had been cause by a Car accident in 2005. I was told that I would ALWAYS have pain by my old chiropractor – now I have none. My hip pain was due to being pregnant and sleeping on one side for 10 months +. I now feel good. I’ve also lost 15 pounds by regaining my energy and strength with the help of Dr. Brooks. I highly recommend The Life Center. Ooooh He also helped my pro-volleyballer husband. Dr. Brook is articulate, calm, caring, intuitive, knowledgeable, thorough and a FINE Chiropractor. In my experience, because of his knowledge of yoga and athletes, he is a terrific doctor for people who are physically quite active. Dr. Brook is a life changer! I have gone to other Chiropractors and none have the philosophy and energy that he and his team have. His office staff is always friendly and professional. I have been seeing Dr. Brook and Dr. Isseks for over a year and a half and my body hasn’t felt this good in a very long time. My posture is straight and my neck pain is completely gone. I highly recommend experiencing his healing hands! This review has been a long time coming and I have nothing but awesome things to say about Dr. B! Frankly, I’m shocked at the few negative comments on this page as my many experiences with Dr. B himself and his super friendly staff have been nothing but stellar. They run a very efficient ship and I have rarely had to wait more than a few minutes for my appointment. Generally, I just walk right in unless I am the one running late in which case they still accommodate me. Business-wise, The Life Center Chiropractic is, in my humble opinion, beyond reproach. This has been my experience as well as the experience of the many people I have referred. Now….on to the art of HEALING! I went in to Dr. B’s office in incredible daily pain that was only getting worse over time. Through his continued care and chiropractic artistry, my pain has decreased by at least 80%…some days even more. My husband is also having wonderful results due to Dr. B’s skilled adjustments. Now, I must say that healing is a 2-way street. I have had to make a commitment of time and money in exchange for Dr. B’s care. In my opinion, it is an equal exchange. I could shower this place in praise, but I will make it short and hopefully insightful for someone who is considering going here. I have many friends who are Chiros. After my initial consultation, first thing I did when I got my proposed number of visits was to call all of my friends to double check if this was an appropriate number for my injury. They all agreed 100% and I went on with my 40+ visits. After soon 25 visits or so, Dr. Jeremy Brook and his staff have become a group I will trust to care for all my friends and family. Yes, I can agree that paying for a 3 min visit can feel silly, but its truly making a difference in my well being, and I feel rejuvenated every time I leave the place. I met Dr. Brook 9 years ago through a 21 day detox program I was doing. He was offering free assessments to attendees and I took him up on that. Boy am I glad I did! I’ve seen him off and on over the 9 years, through injuries, pregnancies, general tune ups and just adore him as part of my medical team. I have recommended several of my friends and athletic trainers to him and every single person I’ve sent to Dr. Brook, LOVES him. They have been so grateful for the recommendation. He is extremely knowledgeable with his craft, patient and truly zen with his practice. Every time I go in, whether it’s just a tune up or some thing seriously out of whack, I feel better leaving then when I entered. The entire office environment he’s created from the music playing, shoes off at the door policy, friendly staff and extra tools for stretching post adjustment, are all part of what makes it a special place. Hazzah to you Dr. Brook for running such an amazing business year after year! I found a great living social deal for this place. Read some reviews and stopped by in person before I bought the deal. I was very impressed with the cleanliness and get costume service from the front desk receptionists. I scheduled an appointment and was very impressed by the professionalism of every one I encountered in my visit. The doctor performed a through examination the first visit without X ray’s because I’m pregnant. I am looking forward to my next visit. My husband found Dr. Brook on Yelp, and I followed soon after, mostly on a whim. Only looking back after a year can I fully appreciate how fortuitous this was. After seeing numerous chiropractors over the last 30 years, I didn’t expect relief from discomfort, resolution at the level of alignment or a more in depth understanding of my spine. What I discovered in Dr. Brook is a true healer with incredible skills both with the spine and in building partnerships with his clients as well as staff. He is impeccable as a professional in technique, ability to communicate what is essential and devise a coherent plan that is realistic. Even better, Dr. Brook is compassionate, a great listener and has a generous heart. Walking into his office, the feeling of being cared for is very present. I have the utmost respect for and trust in Dr. Brook. I feel so lucky to be in the care of the best chiropractor around. Dr. Brook is not only a role model and teacher, but also a chiropractor of pristine skills. If you’re into yoga or sports, and/or have injuries related to this Dr. brook is the one for you. He is a master yogi, and fitness aficionado with a holistic aproach to his practice. From the moment I walked into his office I was blown away by the professionalism and integrity of everything involved. Get his book! Easy read with jems on how to enhance chiropractic through simple and effective daily living tips. Words can not describe how much my chiropractic adjustments have changed me and my entire life for the very best. This is not my first chiropractor experience but is definitely the best. Dr. Brook is very professional, passionate about his work and he does an amazing job. The front desk girls are super nice and very good at booking appointments so there is no wait. Being able to fit a chiropractor appointment in my lunch break is more than I expected. I would definitely recommend this place to my friends and family! I visited Dr. Brook on the referral of a very close friend. I had spent months going to different doctors, orthos, neurologists, many blood tests, MRI, EEG and no one could figure out why my arms and legs were twitching, weak and why I could barely walk or sit up straight. I was extremely frustrated. I had all of these crazy symptoms but no one could tell me why or how to fix it. Having never been to a chiropractor before and coming from a background where I was told “someone like that could paralyze me” and “that’s all just a scam”, I was very skeptical to go. I was also increasingly becoming more and more disabled and was willing to trust my friend and just go in for the free x-rays they were offering from the referral. What I experienced right off the bat was a genuinely caring attentive environment (much different from the doctors and hospitals I had been going to). Dr Brook introduced himself immediately and listened attentively as I told him each and every symptom and concern. My nerves were absolutely shot from everything I had been tested for and gone through and he was also very aware and understanding of that. Once we took x-rays and tests, Dr. Brook explained every detail of what was going on with my spine and why I was having the symptoms I was having. If I didn’t understand something he was happy to show me in a way I could through diagrams or by using the spinal skeletons he has in his office. Still skeptical to start with the comprehensive plan that he suggested, I decided to just go for it. Although I was still extremely anxious for the first few months, that dissipated as I began to start feeling better after every session. Dr. Brook was extremely patient with me through this period and made sure I was comfortable before any adjustments. I began to settle in to the relaxing environment of the office and enjoy the stretches and yoga practice designed for my specific problems after adjustments. I still have a ways until I am completely on the mend, but I am extremely happy with my progress. I have gone from having to lie in bed most of the time, to walking, hiking and beginning yoga again. I feel that Dr. Brook has given me my life back and I am extremely grateful. Overall, I just want to whole heartedly recommend The life Center Chiropractic. It is an incredibly welcoming and caring environment. These people want to help and do exactly what they set out to do. They are experienced, kind and monetarily reasonable for people who need care but don’t have the funds. Dr. Brook is a healer. He loves being a chiropractor, helping people and giving direction to better the health of his patients in every way. If you suspect you have something wrong with your back, don’t wait as long as I did…go see this incredible doc!! I’m a mid 40’s yoga teacher and dedicated practitioner (who for many years taught high impact aerobics and was a competitive gymnast and diver). I was devastated when my trusted chiropractor moved his practice to Simi Valley! Several of my yogi friends mentioned Dr. Jeremy Brook on Facebook, so I checked him out when my low back went into spasm, which it used to do from time to time. To be honest, at first his approach was a little overwhelming to me. It felt like a huge financial commitment…and I was skeptical. He is not the kind of chiropractor who just gets you out of pain right now, knowing you’ll be back sometime soon for the exact same issue. He is about getting to the root of the problem and correcting it. I decided to invest in my body and my wellbeing, and am glad I did. I find Dr. Brook to be incredibly thorough, knowledgeable and safe. Close to a year later, I truly believe that Dr. Jeremy cares deeply for his patients’ health, wellbeing and longevity. Dr. Jeremy was recently away on his honeymoon and I had a visit with his associate Dr. Mike. I was a little nervous to have someone else adjust me, yet to my delight found him to be equally fantastic! They have a really similar style/touch, which is very smart for a practice, so in those rare times when a patient has to see the other doc, there is comfort and continuity. I’ve decided, at least for my 40+ year old very physically active body, that it makes sense to have regular adjustments. It costs less than a massage and I get amazing benefits…I feel in alignment; I feel centered; I feel good! I highly recommend The Life Center. I’ve been an athlete all my life playing soccer, lacrosse, surfing and mountain biking. I came to Dr Book after I was in a car accident and couldn’t have asked for better service. Everyone in the office are very nice and helpful. Dr Book did all the necessary tests including taking x-rays before he ever touched me. He showed me the issues and laid out options for how we could go about treatment. I always left feeling so much more clear and relaxed then when I came in. Everything ran very smoothly every time and was in and out in no time (I’m really busy so this is very important to me) at the same time never felt like I needed more attention. If you’re looking for a chiropractor I highly recommend going here! After living with neck, back and body pain from countless hours wedged into a desk as well as several athletic injuries including one major blowup skiing, I finally bit the bullet and chose to do something about it. After careful consideration of what my options were I decided to visit Dr. Jeremy Brook at The Life Center Chiropractic. This was not a decision I took lightly as I had never experienced chiropractic prior to The Life Center. This was a big step for me. It turns out that I made a great decision. Dr. Brook, his staff and office environment all made me feel comfortable and at ease as I took the leap into the unknown. Their flexibility with scheduling appointments was really appreciated and made visits very convenient. The office was warm and helpful as I began the education process of learning how I could correct and eliminate my dis-ease and move into a life of health and ease. From the first adjustment I received from Dr. Brook I knew I was in good hands. His strength, precision, knowledge and compassion were felt in every adjustment. The man is tuned-in! If you are living with pain or discomfort and are considering chiropractic care I couldn’t recommend The Life Center Chiropractic anymore highly! Before seeing Dr. Jeremy Brook, I had doubts about chiropractic adjustments and had negative past experiences with other practitioners. The moment I stepped into the office, though, I felt comfortable. Dr. Brook and his staff have supported me the past 3 months following a car accident. His holistic approach and genuine concern come through not just once in a while, but in every moment I am in the office. In fact, I even feel cared for outside my appointments. It’s no longer a surprise to receive voice mails from Dr. Brook checking in with me and sharing suggestions that came to his mind after I left the office. Don’t know if I’ve ever met a practitioner in any modality that appears more personally invested in each of his clients’ well-beings. It’s evident how much he strives to be totally present with each client. Dr. Brook simply is a nice guy to be around (with a witty sense of humor), and at the same time, he overflows with clinical knowledge and yogic wisdom! Being with Dr. Brook and the staff is enjoyable. The environment is a hybrid of sacred relaxation and light playfulness. And Darla and JoAnn make scheduling a breeze. Nothing negative to say! ..about four years ago I injured my back severely. Before this injury, I, like most pre-thirty males, felt pretty indestructible. I ran, lifted weights, practiced sports at a high level, and had never had any type of back problems. After the injury I went on a roller coaster ride of recovery and relapse. I was bed ridden for long periods of time and spent lots of money going from doctor to doctor looking for help. During this time, I had so many x-rays that the doctors were worried about me getting radiation sickness. My lower back was visibly curved and the misalignment was pinching nerves, causing all sorts of physical ailments that were accompanied by extreme pain. After three years, I had seen fourteen different doctors and received almost as many explanations for my condition. Some said I would need to get surgery, while others thought I could return to regular activity in a matter of days. After having short periods of recovery that were always followed by months of not being able to walk without assistance and pain, I was apprehensive about letting any more doctors tell me what I could or couldn’t do. By chance, I came across Dr. Mike Isseks of The Life Center Chiropractic at a market near my new place here in Los Angeles. I told him an abbreviated version of my history and he said that they were offering a near free consultation and that I had nothing to lose. At my initial consultation I met Dr. Jeremy Brook and he told me that although I would need to “start from scratch” with my physical activities, he was confident that with proper care and a couple months’ time, I could be well on my way to recovery. Because of my past treatment results, I was hesitant about his prognoses. In addition, some of the spiritual wellbeing ideas that the Life Center supports were a little too esoteric for me. However, I was impressed by Dr. Brook’s confident eagerness to help me and decided to give his treatment plan a try. The initial treatments brought slow results, and I even reached a point where a few of the adjustments seemed to be causing new pains. The doctors took no offense to my complaints and questions (as was usually the case when I would tell a doctor that their treatments were not working for me) …and adjusted my treatments right away. Since then, I’ve been getting exponentially stronger over the past few months of treatments and always feel better after an adjustment. From a time where I thought I would be forever limited by my physical condition, I’m now sharing the same confidence in my recovery that Dr. Brook portrayed in my initial consultation with him. I’m back at work, back in the gym, sleeping better than I have in years, and overall feeling abled rather than disabled for the first time in years. As a pragmatic person, I can see and feel the success of my treatments and am therefor a staunch proponent of The Life Center and their effectiveness at helping people. I have nothing but gratitude for Dr. Mike, Dr. Brook, and the staff at The Life Center. They’ve been kind beyond the necessary by working with my ever changing schedule and are sincerely working hard to get me healthy again.